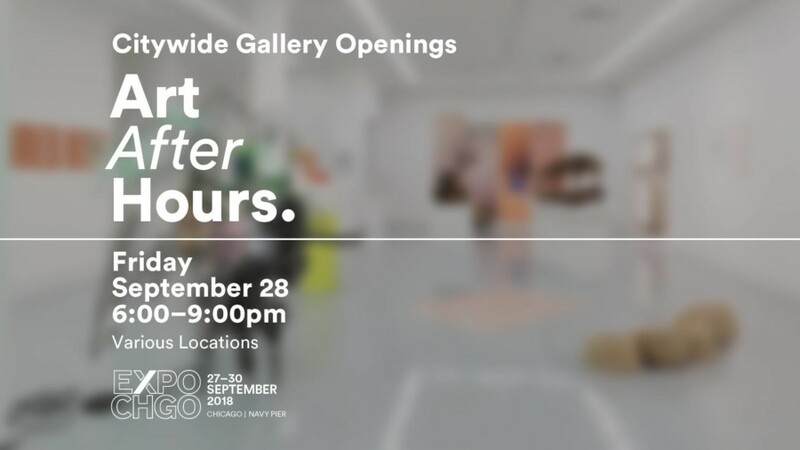 Art After Hours is a free, citywide open gallery night inviting EXPO CHICAGO visitors and the Chicago community to experience the city’s vibrant art scene during extended hours. Join Chicago Sister Cities International, Wabash Arts Corridor, and Columbia College Chicago to celebrate the Chicago–Toronto Mural Exchange. Street artists Kirsten McCrea (Toronto) and Justus Roe (Chicago) installed large-scale public murals in each other’s Sister Cities, with McCrea’s unveiling during EXPO ART WEEK at 72 E 11th Street. Dignitaries from the Chicago Office of the Mayor, the Toronto Office of the Mayor, and the Canadian Consul General will present the mural, followed by a reception and conversation with the artists, moderated by curator Neysa Page-Lieberman. Five year anniversary celebration of VGA’s print collection of significant works of video game art. Albert Goodman and a South East Asian art scholar will give a gallery tour of the Albert I. Goodman Collection of Vietnamese War and Post-War Art, which has new acquisitions highlighting the artists, the conditions they worked in, and the significance of the new works of post-War art that have been recently acquired. In the U.S. Premiere of this riveting portrait of internationally celebrated photographer Alberto García Alix, the artist narrates the most intimate, essential moments from his storied life as we observe his artistic process. Shot in black and white, this award-winning film is a striking homage to the style and spirit, to the lights and shadows of the inimitable artist. Tickets ($12) may be purchased at the door as well as online, chicagofilmfestival.com.